Lucerne Carnival – the city of Lucerne at its most colourful and loud. Carnival begins with a loud explosion (the Urknall) on Schmutzig Thursday and ends late on Güdis (Shrove) Tuesday. All is quiet again on Ash Wednesday. 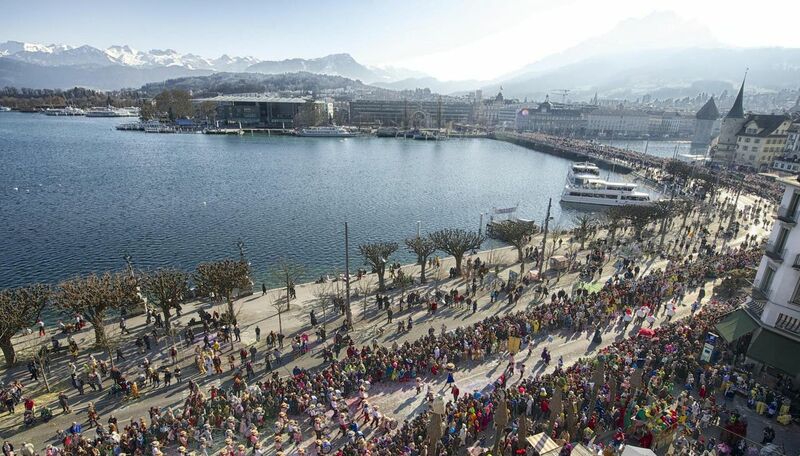 The highlights of Lucerne Carnival are the Urknall, the Fritschi parade on Schmutzig Thursday, the Wey parade on Güdis Monday and the Monstercorso parade on Güdis Tuesday.